Commercials give athletes the opportunity to show their personality off the field, court, pitch, or ice. They can be funny, serious, emotional, or enlightening. They might even have the power to change the way you see a person or a game altogether. There’s a difference between a good basketball player and one that can break your ankles. The players in this video have incredible handles and can do some things with the ball that are nothing short of art. The rhythm and beat are what put the commercial over the top and give it that special touch. This is one of the most iconic commercials and songs in sports history. If you couldn’t figure out how to express your love for MJ, this is exactly the way to do it. It’s simple, pure, perfect. It’s also something we all still use in our daily sports vocabulary. 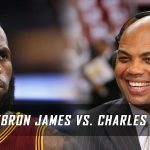 As much as he might sound like a jerk, Charles Barkley isn’t necessarily wrong. 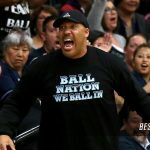 When Sir Charles says he is not a role model, he means it, and wants everyone to know that he is going to do and say what he wants. Take care of your kids! Can you imagine this matchup? If only we could clone people! Forget the talent aspect of it, I want to see two guys as competitive as Michael Jordan go up against one another. The younger MJ was faster and far more explosive around the rim. The older and more seasoned MJ perfected the turnaround jumper, played defense and knew the game inside and out. It’s a masterfully-done commercial and a fun one to watch. Magic Johnson comes all the way to French Lick, Indiana to show Larry Bird that he has new shoes. Of course, Bird already has the identical shoes in a different color, so he doesn’t care very much and immediately challenges Johnson to a one-on-one game. No fancy lines or out-of-the-ordinary portrayals, just two great players going head-to-head. The best part about this commercial is that it stays true to the real world. One little slip-up is the difference between eternal glory and a fall from grace. Legends are born in big moments, and these athletes know exactly when those moments are. A series of Super Bowl commercials introduced “Terrible” Terry Tate to the world of corporate offices. “Triple T” is an enforcer who makes people follow policies, showing them who’s boss, just like on the grid iron. Catchphrases and toughness aside, this is a creative way to help a larger audience relate to the great game of football. During the filming of another commercial, Woods started doing some of these tricks for the film crew. They ended up shooting and eventually using footage of his slick moves instead. Woods makes it look easy. Very cool. This is one of the most iconic sports commercials because we now know what Mark McGwire took to hit all those long balls. From what we can tell, Tom Glavine and Greg Maddux used good old-fashioned hard work to start jacking home runs. Arguably the most gifted athlete on the planet for a period of time, Bo knew baseball and football. But what else did “Bo know?” Apparently everything but hockey. A lot of people have differing opinions of Bo Jackson, but few dispute his insane abilities. He was “the most interesting man in the world” before that other beer commercial created one. This is one of the most iconic commercial in sports history. “Mean Joe” Greene takes the Coca-Cola and gives the kid his jersey. Seeing the iconic image of “Mean Joe” smiling has touched viewers time and time again. We all got to see that the Hall-of-Famer, who was part of the legendary “Steel Curtain” defense, was not as mean as everyone thought he was. This is just a kid idolizing an athlete and giving him his well-marketed soft drink. Ask people what the best sports commercial of all time is, and you are going to get a lot of different responses. Still, many are going to point to the McDonald’s commercial with Michael Jordan and Larry Bird. It shows two of the best ever going one-on-one in our favorite driveway game. 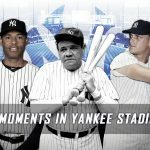 What are your picks for best sports commercials of all time? Did we leave any must-sees off the list? Connect with us on Facebook, Twitter and Google Plus and let us know what you think. 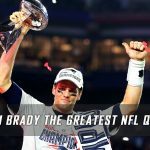 Is Tom Brady the Greatest NFL Quarterback of All-Time? 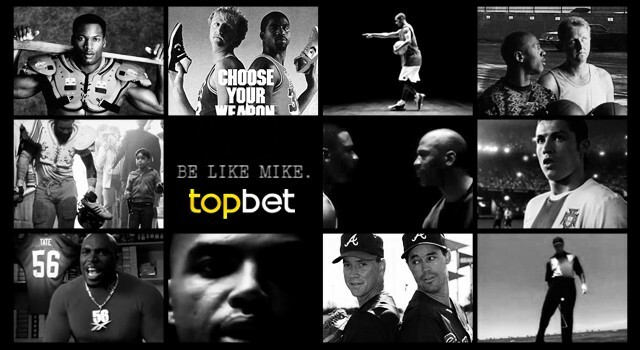 Top Bet is the Game Changer in sports betting. 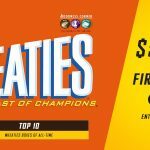 You get the best sportsbook promotions, betting trends and insights that help you win, and the most hassle-free customer service and website run by some of the most reputable staff in the world. Bet on the best odds -- lines, totals and spreads -- for the top sporting events throughout the year.